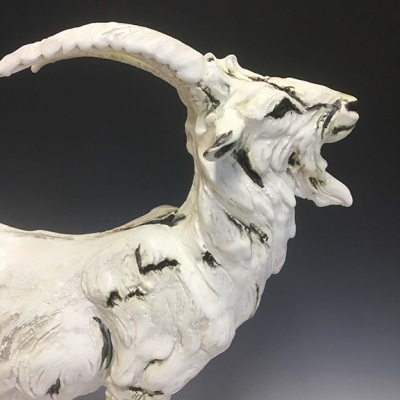 Ceramic artist Mary Philpott creates medieval inspired artworks ranging for breathtaking life-like ceramic sculptures to richly colourful tiles. 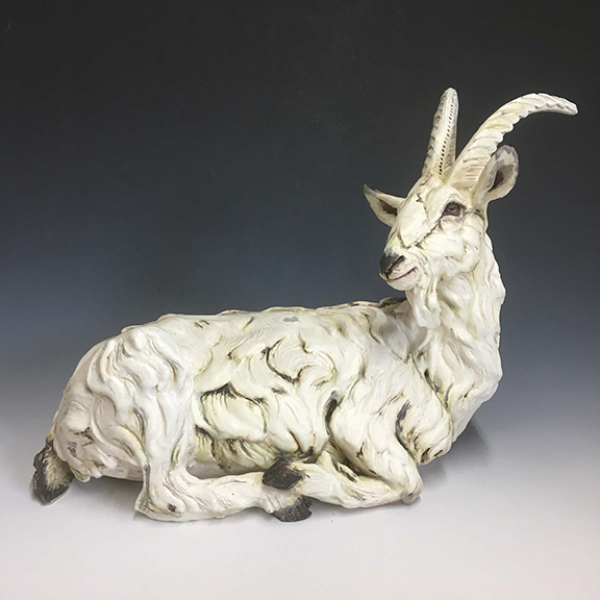 The work that I make is a reflection of my interest in the lives and natural beauty of animals, both domesticated and wild. Living in the countryside amongst both farm and woodland, the lives and stories of the animals and birds are always on the edge of one's seeing. The relationships we build with other animals become part of our own narratives, in folktales, fairy tales and mythologies of times past, and our own present. Mary Philpott is a graduate of the School of Crafts and Design, Sheridan College (Ceramics); the University of Guelph (Art History, Medieval Studies and Classical Archeology); and McMaster University (Anthropology). 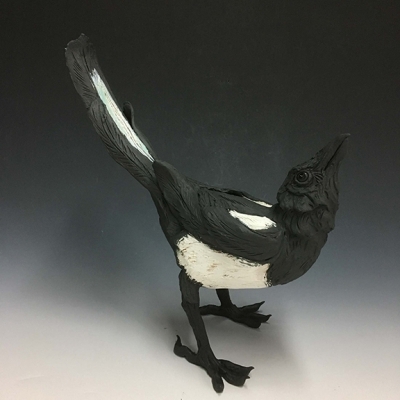 As well as having a full time craft practice in her countryside studio, Mary has worked as an artist in residence at the Harbourfront Studios, Toronto, and at Air Vallauris, France. 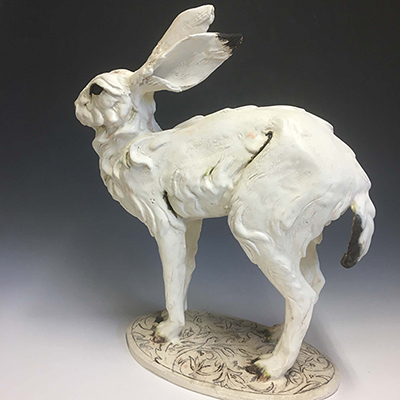 Her sculpture and tile work have been exhibited, collected and published internationally, and is in many private and public art collections.